The USDF Instructor/Trainer Program workshops are designed to educate dressage riders of all levels. They are open to instructors, aspiring instructors, and amateurs. USDF workshops provide a wonderful opportunity for all students of dressage to learn about classical theories of riding, training, teaching, lungeing of the horse, and lungeing of the rider (seat lessons). Participants will be able to improve their practical skills under the guidance of USDF qualified workshop leaders. A pre-certification workshop is also offered in which participants can determine if their current level of expertise meets the USDF Certified Instructor Standards of Proficiency. Workshops are not mandatory for certification. LUNGEING: to review correct lungeing principles and techniques for training the horse and rider. RIDING: to review and apply the classical methods of schooling the dressage horse. This workshop provides an opportunity for participants to improve their practical riding skills, their ability to assess the horse's training, and their knowledge of how to relate the concepts of the Pyramid of Training in practical training sessions. TEACHING: to develop effective teaching skills that will enable the participants to become more competent instructors. This workshop is an opportunity for participants to improve their ability to assess students, and to expand the participants’ knowledge of how to relate the concepts of the Pyramid of Training to the practice of teaching. The participants will be evaluated on their presentations of private lessons. Participants will be required to complete the online education modules on USDF Online Education. After all three workshops have been offered, a USDF Pre-Certification may be held. This mock testing, conducted by examiners, is designed to offer participants the opportunity to familiarize themselves with the certification testing format. Attending a Pre-Certification is strongly recommended, but not required. A Pre-Certification workshop is basically a dress rehearsal. The examiner will assess the level of practical skill and theoretical knowledge of the participants. The participants receive numerical score sheets with comments at the end of the two days. There are no lectures or demonstrations, and limited dialogue between the examiner and participants. If you are interested in attending a Pre-Certification, please visit the USDF Education Calendar. Completed applications for Pre-Certifications should be sent directly to the local organizer. If you are interested in hosting a Pre-Certification, please contact the program liaison. Certification implies recognition by USDF of the candidate’s achievements and capabilities. To be certified means the candidate meets specified standards and has demonstrated they have the knowledge and abilities necessary to teach the concepts of dressage. Candidate applications must be received in the USDF Office eight weeks prior to testing. A candidate must achieve certifications in order (i.e. a candidate must be certified at Training-First Level before he or she may become certified at Second Level). A candidate may be tested for no more than two levels during any one testing. Submit resume showing three (3) years of teaching and training experience. Submit three (3) letters of recommendation. References should be from industry professionals attesting to candidate’s character and ability. Submit three (3) competition scores of 60% or higher from USEF-licensed/USDF-recognized competitions. All scores must be from three (3) different judges. Submit five (5) competition scores of 60% or higher from USEF-licensed/USDF-recognized competitions. All scores must be from three (3) different judges. Submit five (5) letters of recommendation. References should be from industry professionals attesting to candidate’s character and ability. Submit five (5) competition scores of 60% or higher from USEF-licensed/ USDF-recognized competitions. All scores must be from a total of three (3) different judges. In order to achieve certification at the following levels, the candidate must meet all requirements and pass all exam sections with a score of 70% or higher. If the candidate fails one section, he/she may retest that particular section at a later time. Each exam session will be 45 minutes in length. Candidates will be evaluated by a minimum of two examiners during a testing. Candidates will be asked questions during all lungeing, riding, and teaching phases. Please read the Candidate Guidelines for more information about the format of each testing level. Certified Instructor/Trainers at all levels must fulfill the following requirements each year to maintain current status with USDF. Certified Instructor/Trainers who do not meet these requirements on an annual basis will lose their current certified instructor status with USDF and will not be listed on the USDF website. If you have questions or need more information, contact the Instructor/Trainer Program Liaison at (859) 971-2277 or instructorcertification@usdf.org. As a USDF Certified Instructor/Trainer, Recognized Teacher, or Associate Instructor, and member in good standing of the United States Dressage Federation (USDF), I acknowledge my obligation to uphold the highest standards of horsemanship both at home and when in the public eye. As a horseman, I place my rider’s safety and horse’s welfare above all else. At competitions, whether participating as a trainer, coach or as a competitor, I will know and comply with all rules of the USDF/USEF, and when applicable, the FEI, and will ensure that my students know and comply by these rules as well. As a USDF Certified Instructor/Trainer, Recognized Teacher, or Associate Instructor, I acknowledge the importance of continuing my own education in order that I may pass this knowledge to my students. I understand that as a USDF member and USDF Certified Instructor/Trainer, Recognized Teacher, or Associate Instructor, I serve as a representative of my sport, the USDF, and the USDF Instructor Certification Program. As a USDF Certified Instructor/Trainer, Recognized Teacher, or Associate Instructor, I will serve as a positive example through my conduct, dress, and behavior by maintaining a professional demeanor. I further understand that any USDF member suspended by USEF will be considered a USDF member not in good standing during the period of suspension. During this period, such person will be ineligible to participate in USDF programs, including having his/her name removed from the list of Associate/Certified Instructors, Instructor Workshop Faculty and Instructor Certification Examiners. I acknowledge my membership in this professional community and my responsibility to demonstrate respect for my fellow professionals at all times. The testing is meant to be a thorough evaluation and examination of the candidate's expertise in the skills relevant to your success in the dressage teaching and training profession. USDF is concerned that candidates who are certified are not simply producing riders with winning scores, but rather, riders who can think about their training and feel the results and effect on the horse. USDF Certified Instructors/Trainers exemplify the highest standards, protecting the interests of both students and horses as well as the traditions of classical dressage as outlined in the Pyramid of Training. Instructors are responsible for the future of dressage through the riders they influence. USDF Certified Instructor/Trainers are committed to the goal of the harmonious development of the physique and ability of the horse, endeavoring to help students make their horses calm, supple, loose, and flexible, but also confident, attentive, and keen, thus achieving perfect harmony with the rider. USDF Certified Instructor/Trainers have an in-depth understanding of the classical dressage theory and its application to "real life" scenarios. They know the purpose, the progression, and the connection between the various school movements and can recognize the difficulties and typical mistakes. USDF Certified Instructor/Trainers have analytical skills rooted in classical methodology to accurately assess a horse’s strong and weak qualities. They will be able to articulate an appropriate prescription for the horse's schooling. 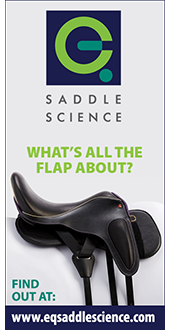 They demonstrate a solid, balanced and effective seat and tactful aids required to produce the desired effect on a variety of horses. USDF Certified Instructor/Trainers have a broad base of teaching experience with a reservoir of practical knowledge to draw upon. They have evaluative skills needed to analyze the training requirements of horses and students. They are able to prescribe a solution appropriate to the student’s level of experience and current ability. They are able to transfer their knowledge, imparting concepts and feelings in order to produce independent riders. USDF Certified Instructor/Trainers present lessons that are organized focused and logical, yet creative and flexible in order to achieve success. Their professional demeanor will demonstrate poise, confidence and command of the arena. Their communication skills need to show effective use of grammar, vocabulary, voice, and diction. They establish rapport with horse and rider, demonstrating compassion and encouragement. For guidelines and other important documents, see our forms & documents page. As a requirement to maintain recognition or certification, each Assoicate Instructor/Recognized Teacher/Certified Instructor must do sixteen (16) hours of continuing education. A wide range of equine related programs will be accepted for continuing education credit. Attendance at any USDF program will automatically be accepted. Other educational opportunities such as USEF Judges Clinics/Forums, lectures and mounted lessons or clinics can also be accepted, but will require advance approval. Required hours must be submitted each year by November 30th in order to maintain current recognition or certified status. Great American Insurance Group offers discounted rates to all current USDF Certified Instructors. Contact an agent near you. 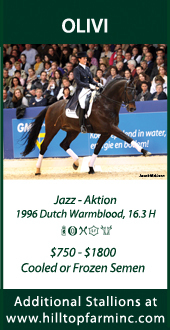 Dressage Extensions offers discounted rates on purchases made by current USDF Certified Instructors. 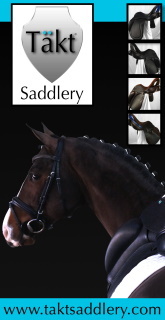 Contact Dressage Extensions for more information. Instructors who are certified at Training – First Level will received a 10% discount on purchases. Instructors who are certified at Second Level and Third – Fourth Level will receive a 15% discount on purchases. Instructors who are certified at FEI Level and those recognized at Honorary Instructors will receive a 20% discount on purchases. o Cost includes in-house design and layout. Design can have one logo and/or on photo and up to 15 words of type, excluding contact information. One proof will be faxed or email to client.